It is an aminoglycoside, highly soluble in water and is stable for several weeks in solutions of various pH. 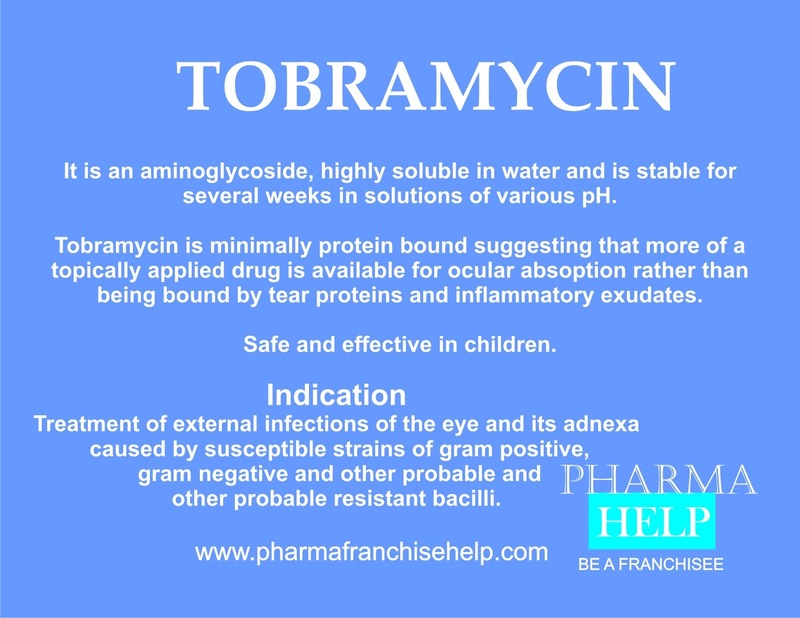 Tobramycin is minimally protein bound suggesting that more of a topically applied drug is available for ocular absoption rather than being bound by tear proteins and inflammatory exudates. Safe and effective in children. Treatment of external infections of the eye and its adnexa caused by susceptible strains of gram positive, gram negative and other probable and other probable resistant bacilli.